Works with optical or ball-tracking mice. 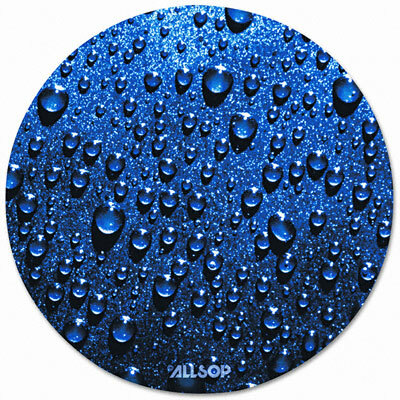 Realistic raindrop design on mousing surface. Slim mouse pad is thinner than a dime. Textured surface provides ultra-fine tracking points and just a little friction to work equally well with your optical or roller-ball mouse. An adhesive coating on the underside keeps it from sliding around on your desk. Raindrops design is so realistic you can almost hear the thunder. Easily wipe clean with a damp cloth.